Riverkeeper captured stark evidence of the environmental toll of combined sewage overflows from New York City Wednesday morning, as Capt. John Lipscomb sampled water quality in the East River and its tributaries with CUNY Queens College. 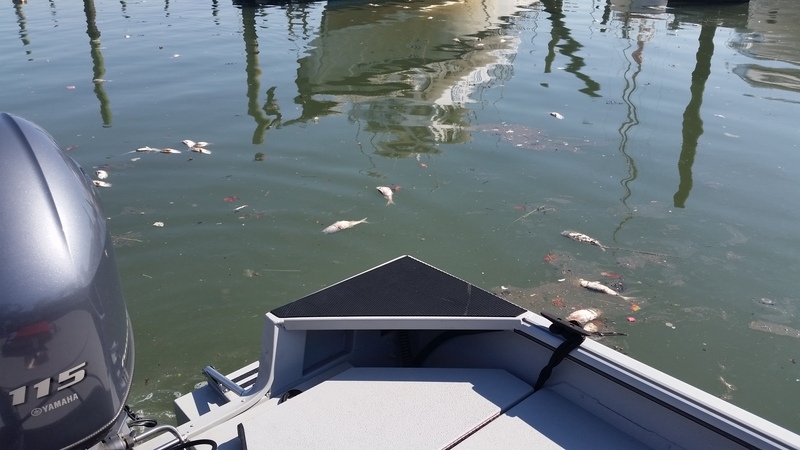 Flushing Bay was a milky, murky blue-green color – and Flushing Creek was filled with thousands of dead menhaden. Menhaden are saltwater herring that are also known as bunker, and have been celebrated as “the most important fish in the sea,” because they are an essential food sources for so many other creatures that live in New York Harbor, Long Island Sound and along the Atlantic Coast. That includes humpback whales, which have been repeatedly observed feeding on menhaden in and around New York Harbor. Why did these fish die? New York City’s sewers. When it rains, the city’s combined sewers dump millions of gallons of sewage and streetwater into Flushing Creek. 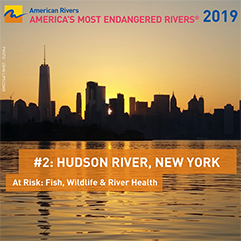 There are hundreds of discharge points around New York City, but the effects in Flushing Creek offer a particularly stark example of the consequences from dumping massive pulses of pollution into the water every time a storm rolls through. The pollutant load includes pathogens associated with raw sewage, along with pharmaceuticals and other household chemicals; heavy metals, salts and oils from the street; and loads of plastic, cigarette butts and other trash. The killer of these fish though was likely nutrients, which led to a bloom of algae; when the algae died off, bacteria consumed the dead algae and depleted the oxygen in the water. In Flushing Creek, as part of expanded dissolved oxygen monitoring with CUNY Queens College, we measured almost zero oxygen Wednesday. “It’s horrific to see these fish with their gaping mouths at the surface of the water. They all suffocated. It just makes me furious,” said Capt. John Lipscomb. Our measurements of dissolved oxygen in Flushing Creek Wednesday came more than 24 hours after the last reported combined sewer overflows discharge into the creek. We don’t know how frequent these fish kills are, but combined sewer overflows are startlingly frequent. 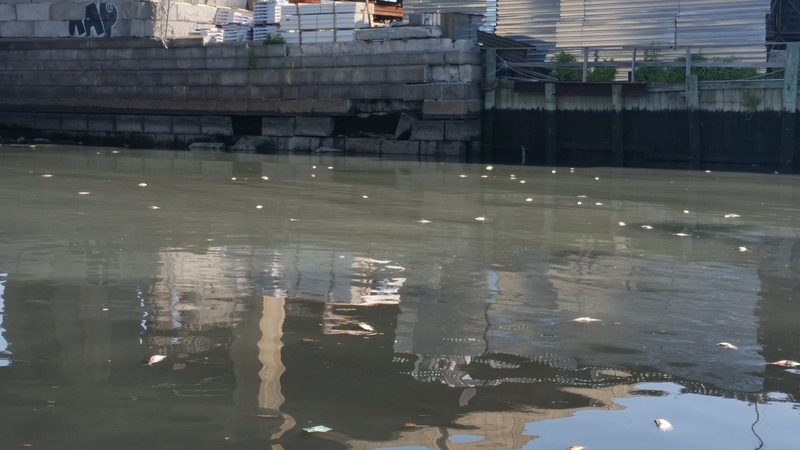 New York City has announced advisories, based on rainfall amounts that would be expected to trigger combined sewer overflows into Flushing Creek, covering 18 days just since May. It’s not just Flushing Bay. In Long Term Control Plans mandated by the Clean Water Act, New York City has proposed in many cases adding chlorine to Combined Sewer Overflows in order to kill pathogens. That would leave other pollutants untreated – including excess nutrients that underlie these fish kills. What is really needed is dramatic reduction in the volume of overflows. Menhaden schools can sometimes suffer from episodes of a sort-of accidental mass suicide, when bluefish scare them into shallow water, according to John Waldman, author of “Heartbeats in the Muck,” a book about aquatic life in New York Harbor. In these situations, the menhaden’s own excrement can deplete oxygen, leading to their deaths. 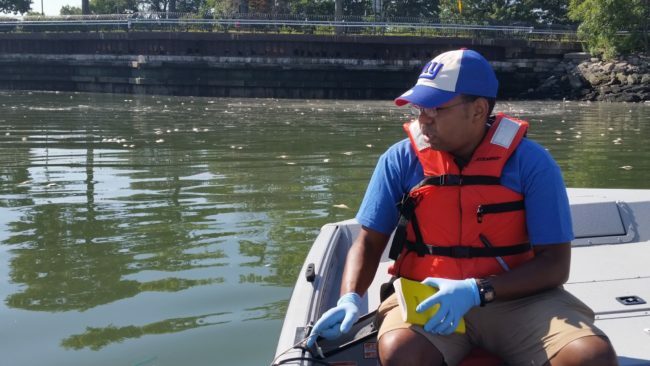 But on the scale of what we observed in the creek, and the visual and water quality data that provide context, there’s no doubt the cause of death in this case is the unfettered flow of sewage from tens of thousands of toilets in Queens directly into Flushing Creek. While fishing remains the most important threat to the future abundance of menhaden, poor water quality and a mass fish kill such as this can knock out a whole year class of fish, Waldman said. 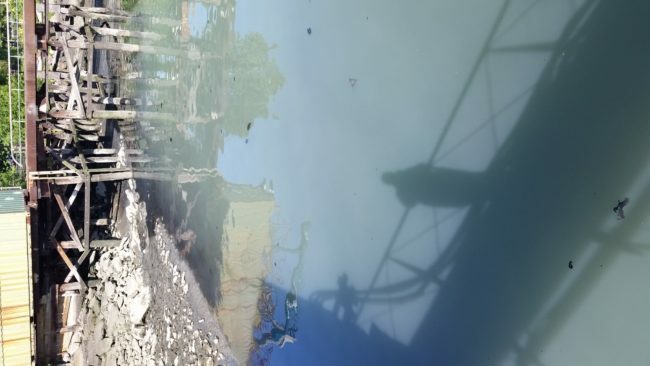 Beyond menhaden, the overflows are an repeated assault on the Flushing Creek ecosystem, which even after decades of abuse from pollution, shoreline alteration, burying and other impacts, still retains some ability to support life. Combined sewer overflows are a massive barrier to restoration.